I love the city of New Orleans. It has the most amazing spirit, and when my best friend moved down there, I had the opportunity to experience Mardi Gras there twice. They were two of the best trips of my life, and I wish we could bring the spirit of Mardi Gras here to the Jersey Shore. There of course is the misconception that Mardi Gras season in New Orleans is all about drunken debauchery -- I won't lie to you, it happens. However, there is more to it than ladies being inappropriate on Bourbon Street. Krewes prepare for months to get their parade floats and social balls ready. 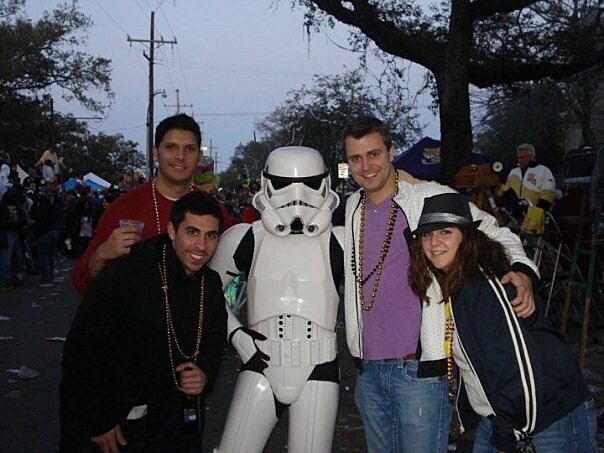 I had the opportunity to go to the Bacchus Ball in 2009. Val Kilmer was there as the "King" and Three Dog Night performed as parade floats traveled through the hall tossing beads and other goodies to screaming adults in ball gowns and tuxedoes. It's the kind of thing that doesn't happen in real life. That's my favorite part of Mardi Gras. Whatever problems are happening, they all seem to go away for a moment, and everyone celebrates life. You catch "throws" - tiny foam footballs, stuffed animals, parasol umbrellas, cheap toys and plastic beads...and you make a kid you don't know, who you will never see again, totally happy when you share it. You try your best to get a Zulu coconut, the most prized Mardi Gras throw, (I have two!) and you feel like a Queen when you get one. It's just a painted coconut, and yet it feels like a diamond. There's the music and the colors and the costumes and just the general spirit of joy that makes Mardi Gras and New Orleans so special. 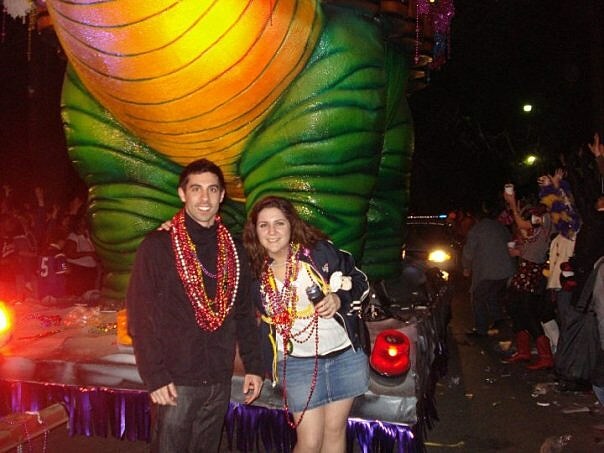 They celebrate for a month leading up to Fat Tuesday, with the biggest parades kicking off on the final Thursday of the season, and ending with the Zulu and Rex parades today, Mardi Gras. So go out today, buy a King Cake (it's good luck if you get the piece with the plastic baby in it, and you become King or Queen for the day) and get your party on, because for Christians, the end of Mardi Gras marks the beginning of Lent...the solemn time of year that ends on Easter Sunday.